Adequate rail service is a high priority for industrial and manufacturing companies when considering a move or expansion. 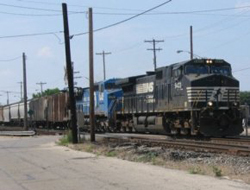 Southwest Ohio is served by two rail lines—CSX and Norfolk Southern—and they provide service to all major cities and ports throughout Ohio, the Midwest, East Coast and the Ohio River and Great Lake Ports. Rail equals fuel efficiency. One gallon of fuel can move one ton 400 miles. Rail means lower costs and greater efficiency. One train can carry as much as several hundred trucks. 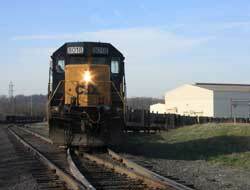 In 2009, 238.61 million tons of freight originated, terminated or passed through Ohio by rail. It would have taken approximately 13.3 million trucks to handle this freight. 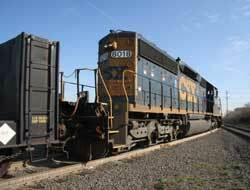 Capacity One double-stack train equals up to 280 trucks. Fuel Efficiency On a ton-to-mile basis, trains are 2-4X more fuel efficient. Emissions On a ton-to-mile basis, trains are 3X cleaner. Distance. Rail works best for longer distances than shorter ones. Product weight. Rail works best for heavier products than for lighter products. Rail access. Rail works best if one or both the shipper or receiver is rail-served. Volume density. Rail works best in those lanes that have consistent and heavy volume. Distance – Rail works best for longer distances than shorter ones. 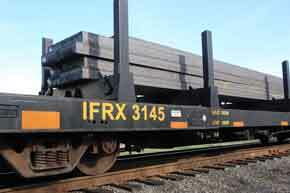 Product weight – Rail works best for heavier products than for lighter products. 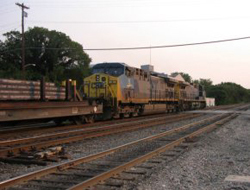 Rail access – Rail works best if one or both the shipper or receiver is rail-served. Volume density – Rail works best in those lanes that have consistent and heavy volume. Do you require rail access for your manufacturing operation? Look to Midd Cities Industrial Park to suite your company’s growing needs. It has a heavy industrial infrastructure in place. Most buildings have CSX rail access on-site track mobile and railcar storage. This facility also offers crane service up to 60-tons and is ideally suited as a steel service center. It’s also a Designated Enterprise Zone. The Southwest Ohio region is one of the largest industrial, distribution and manufacturing areas in the United States. Rail makes this possible. These two major intersecting rail lines provide world-class industry access to corporate manufacturing customers and suppliers.